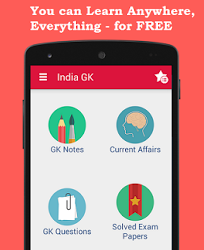 17, 18 November 2017 Current Affairs MCQs, Quiz, Questions: Current Affairs for November 2017, Daily Multiple Choice Questions (MCQs) for India GK, World GK and current affairs with Collection of daily objective type Question by www.Indiagk.net based on General Knowledge (GK) and General Science (GS) Questions for UPSC, State PSC, SSC, Police exam, Railway exam, SBI, Bank PO, IBPC, SSC, LDC, UDC, Army, Airforce, Navy, Coast Guard, Bank Clerk, TET and all entrance examination with current affairs News, Multiple Choice Questions (MCQs) available on Website www.IndiaGK.net and Android Apps with daily updates:. Which country has recently declared Yoga as sports activity? Government directed which company to buy stubble for its thermal units? Which is India's first mega coastal economic zone (CEZ)? Moody's upgrades India's rating after how many years? UN Climate Change Conference (COP23) 2017 was held in which country? RBI Governor Urjit Patel was appointed to which advisory board?